Decided to check in with Chevrolet of Montebello to see if there was an update on Volt inventory for the new year. Unfortunately the internet salesperson I was communicating with is no longer available (I couldn’t find any more specifics) as I have a new person sending me email. My followup with them says that they have 5 Volts but all are sold. Guess I will have to cross Montebello off the list. I’ve gotten a few responses from dealerships. Of the 3, 2 are asking over window. Camino Real Chevrolet: 3 available $1000.00 over window to be delivered before the new year. Chevrolet of Montebello: Unknown number to be delivered by the end of January with no markup. Allen Gwynn: Stock through the new year sold and they are marking them up but would not give specifics. Not interested in anyone asking over sticker so I will talk to Chevy of Montebello a little more. Started emailing dealerships to see what the availability of Volts are and get an idea of pricing. After reading various forums it seems like there are many dealers asking over window. See, LeBron and I have something in common. Both of us had very important “decisions” to make and we both put them out there for the world to criticize. Good thing we both get paid roughly the same… plus or minus a few million… divided by two… minus ten. The time has come to figure out what car makes sense. There are five cars I have really looked seriously at. The Chevrolet Cruze, Chevrolet Volt, Nissan Leaf, Nissan Juke and Ford Fiesta. My brain says stick to your gut and go with the electric option. That immediately gets my list down to two. The Nissan Leaf and Chevrolet Volt. Please come with me on a Journey of rationalization. All electric, All the time – 98% of my driving could be accomplished with the Leaf. No tailpipe – Zero emissions all the time. Price - You pay for the tech but the base price of the car really isn’t that bad considering the standard features. Maintenance - No oil changes, less fluids to maintain. Hardware simplicity. $7,500 Government Tax Credit – This is Gravy. Brings the price of the car easily under 30k. $5,000 California Rebate – Now this is getting silly. With 5k factored in we are talking Prius type money. What Smog? – No California smog check EVER! Not now, not later. Did I mention EVER! HOV Lane – Single car HOV Lane access in California. Prius and Hybrid Civic owners (early adopters anyway) have had this forever. Misc Perks – Free street parking at Santa Monica Meters, free park and charge at LAX, etc. Range - 60 to 100 miles depending on conditions. My parents live roughly 100 miles from my current location. Can I consistently make it there on a single charge? Even if so once I get there is it likely that I will be able to leave the car plugged into an opportunity outlet for 20 hours for the return trip? I’ve looked at infrastructure maps and don’t see a good option for Level 2 public chargers along the route. Charging - 240v is pretty much required. At my current residence getting a Level 2 charger installed is a process I don’t look forward to. Even if I can get my landlord’s permission I am not sure there is a clean way to get the 240v charger installed at my place. Availability – I hemmed and hawed when the reservations went up so I doubt I will see a Leaf I can buy until well into the latter half of 2011 and that is being optimistic. Styling – I don’t dislike the look of the Leaf but at the same time I don’t love it either. Electric most of the time – My daily commute is 50 miles round trip. I should be able to just about make it to work and back on a single charge. 110v charger is a ok – Overnight charge on 110v is all I need. No worry about getting a 240v charger installed. Looking good - I really like the way this car looks. From front to back, top to bottom. Availability - While I don’t think it will be super simple to find one. I know they are becoming available. American made - Made in Detroit by hard working Americans. Always a plus in my book. Loaded from the get go – Feature packed. There are a ton of goodies coming standard with the base model. Bluetooth, Nav, Upgraded audio and Advanced displays. The interior feels a little more high end than the Leaf. California Smog check – Currently the Volt is treated like other hybrid type cars and do not require biannual smog checks for registration. (Mini Con: Who knows if this will last. California will figure out how to get more of my money somehow). Expensive – $7,500 from the government helps but the base price is at the upper end. No California rebate - Sadly model year 2011 does not qualify for the $5,000 California rebate. 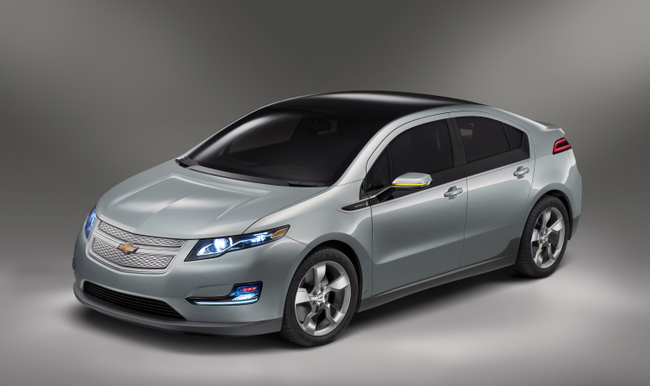 No HOV Access – Just like the 5k rebate the Volt is not currently HOV enabled. Misc perks – Car is so unique that places don’t know how to classify it. Unknown if perks like Santa Monica free meter parking and LAX free park and charge are applicable. Not 100% Electric – I would drive electric most of the time but the reality is you are still going to burn gas at some point. Complicated engineering – Just a lot going on this under the hood of this car. Maintenance is bound to be higher than a more simple design. Oil changes, while not as frequent as a traditional ICE, are still required. I need to go at least 100 miles to visit the family. 240v charger is not an option right now so it has to work well off of 110v. Supporting Detroit and American auto workers. Volt, you win my heart.